Kids fly free with adult purchase. Aircraft and space available. This fun introductory tour is designed as a very flexible, quick tour and based on customer choice and interest. 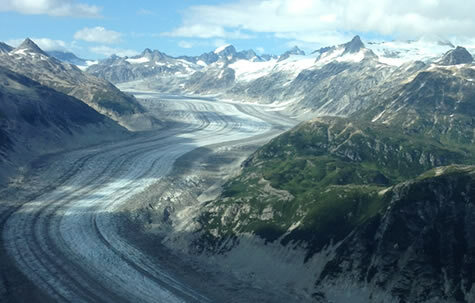 Select between inlet views, vast tidal flats, or upslope mountain terrain. Same great experienced Alaska pilots. 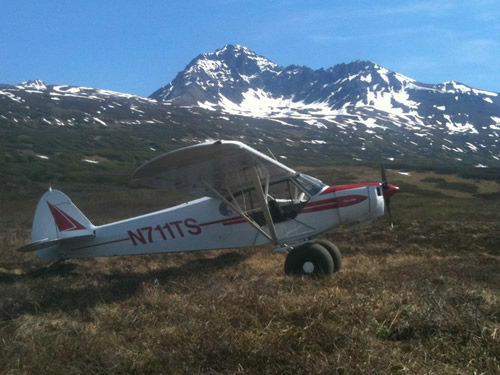 We use a variety of our custom designed wheel planes to show you Alaska local. Not a wilderness experience, but a good way to complete that bucket list or to check us out. Great fun, just under an hour. We utilize specially modified Cessna wheeled planes where every seat is a window seat. Music, two-way Bose noise-cancelling communication headsets, and on board beverages are standard on our flights. 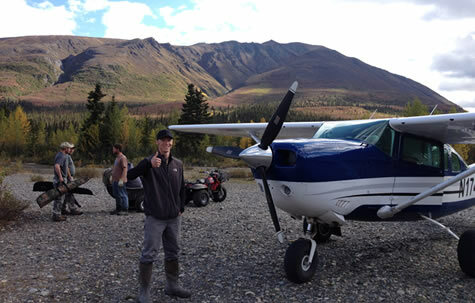 Our experienced Alaska pilots where raised in this very country and love showing it off.